Interviews, DJ Mixes, House Track Reviews, Housemusic News and more. What is DIRTY MIND MUSIC? 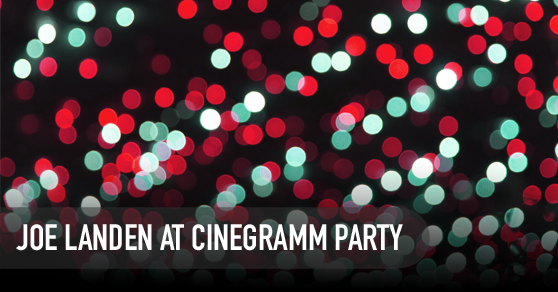 Cinegramm is a team of creatives, filmmakers and producers in Berlin. Their one-year existence and the move into new studio rooms in Kreuzberg had to be celebrated properly. Congratulations, Cinegramm! House Music is the passion of Joe Landen, the man behind DIRTY MIND MUSIC - Your House Music Source. His mission: To surprise people, make them dance and smile and give them a fantastic time. Therefore Joe is presenting exciting House Music for electronic music lovers and those who want to become one. His Tech House mixes are packed with special tracks that underline his great taste and knowledge for electronic music. The momentum his sets generate, keeps you pushing on with a relentless positive vibe that never stops. Copyright by DIRTY MIND MUSIC - Your House Music Source. Picture Window theme. Powered by Blogger.